AP/NetflixSteve Van Zandt stars in the Netflix original series "Lilyhammer." This is a busy month for Netflix (NFLX). It's taking its first shot at kid-friendly original programming, which will arrive on the streaming service on Christmas Eve. 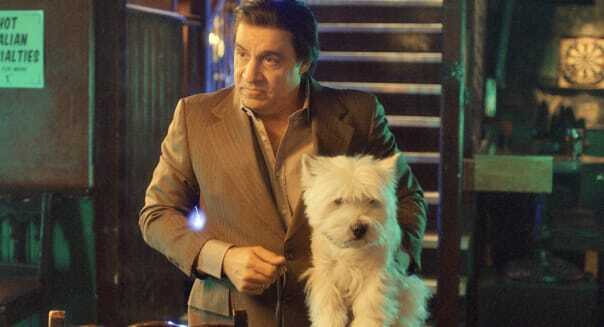 And things will really begin heating up Friday, when "Lilyhammer" returns for a second season. The show stars "The Sopranos" star and Bruce Springsteen bandmate Steve Van Zandt. He plays a mafioso who chooses to be relocated to Norway as part of the federal witness protection program after ratting out some of his fellow mobsters. The first season became available on Netflix in February 2012, and while it may not have generated a lot of buzz the first time around, it will always have a place in history as Netflix's first foray into original programming. Frank "The Fixer" Tagliano -- Van Zandt's character in the show -- isn't as familiar as the characters portrayed in some of the other shows that Netflix has introduced this year. The Emmy-winning "House of Cards" and the revival of cult favorite sitcom "Arrested Development" generated far more interest than "Lilylhammer" did then and even now. However, viewers and investors alike shouldn't underestimate the power of Netflix to cultivate an audience for its Web-served content. Its reach should top 40 million subscribers by the end of this year. %VIRTUAL-article-sponsoredlinks%When the fifth season of "Mad Men" premiered on AMC Networks (AMCX) last year, the debut was greeted with a 20 percent surge in ratings. That's unusual for a serialized drama, but something important happened after the fourth season. AMC struck a deal with Netflix to make the four earlier seasons available through Netflix's streaming service. It worked. Netflix revealed that 3.5 million of its subscribers caught the fourth season of the show on Netflix ahead of the start of the fifth season. A whopping 800,000 viewers went through the entire digital catalog. AMC's eventual success with subsequent seasons of "Breaking Bad" and "Walking Dead" have been attributed to in part to the availability of the previous seasons on Netflix. We'll find out soon if the same dynamics are at play for "Lilyhammer." It's not just about an audience for the show that has accumulated over the past 22 months. There's also something to be said about positioning your service as a platform where shows come back. Netflix charges just $7.99 a month for its unlimited streaming service, and it's easy to cancel. This isn't like the company's original disc business where there were always DVDs and Blu-rays in transit at the time of cancellation. Someone can nix the digital smorgasbord and easily come back later. Netflix has been staggering its original series to keep subscribers close. It's no coincidence that "House of Cards" was followed by "Arrested Development" two months later, just as "Orange is the New Black" became available a few weeks after that. There is value in a strategy designed to keep your viewers sticking around; even premium movie channels HBO and Showtime now rely on recurring shows to keep cable and satellite television accounts from canceling. By showing that its original series are around for the long haul, Netflix should be better able to keep churn in check. Netflix is less likely to lose "Lilyhammer" fans if they know that a third season will follow this one, just as it's been able to keep posting strong subscriber growth as it gears up for a second season of "House of Cards," which will kick off in two months. Netflix has one more advantage: As a streaming service, it knows precisely how often its shows are being viewed, whenever they are seen -- unlike broadcast and cable networks -- allowing it to make more educated decisions about which ones are worth renewing. "Lilyhammer" isn't just a show about the witness protection program. It's also a key part of Netflix's subscriber retention program. Motley Fool contributor Rick Munarriz owns shares of Netflix. The Motley Fool recommends AMC Networks and Netflix. The Motley Fool owns shares of Netflix. Try any of our newsletter services free for 30 days.